Please select an option 90cm 130cm 148cm Please select a length. Commonly known as the Artist’s Stone, Amazonite is a stone of truth and self-love. Amazonite must be worn by women suffering from insecurity as it is prominent for boosting the self-esteem. 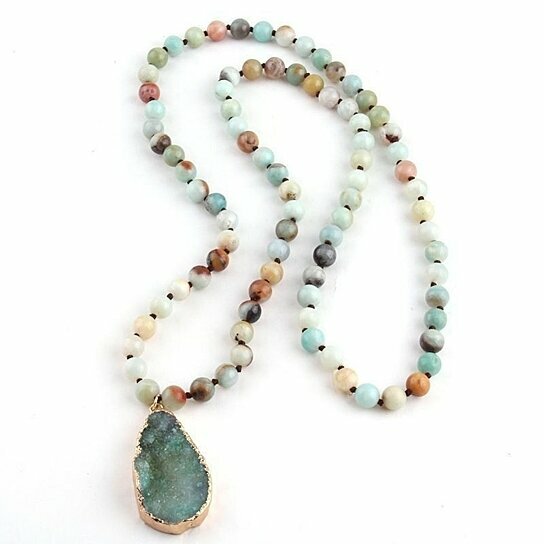 Women who wear Amazonite are bold, courageous, fearless, determined and positive sans greed or similar other negativities.